In a widely missed blog post on the Official Microsoft Blog yesterday, Microsoft expanded the number of stores that it intends to open on a temporary basis this holiday season to both teach Windows 8 – presumably – and to sell the Surface RT tablet. Windows Phone 8 will also likely make an appearance. From its post, here’s where Microsoft has added stores: “[the] two new holiday stores [are] scheduled to open on Oct. 26 in New York City’s Times Square and at the Shops at North Bridge in Chicago.” TNW can vouch for the efficacy of the Chicago location; Times Square explains itself. Critically, the so-called ‘pop-up’ stores will be present in both the United States and Canada, thus making the launch of the Surface line international for certain. TNW has reported noise that the devices are headed to the Chinese and Australian markets as well. 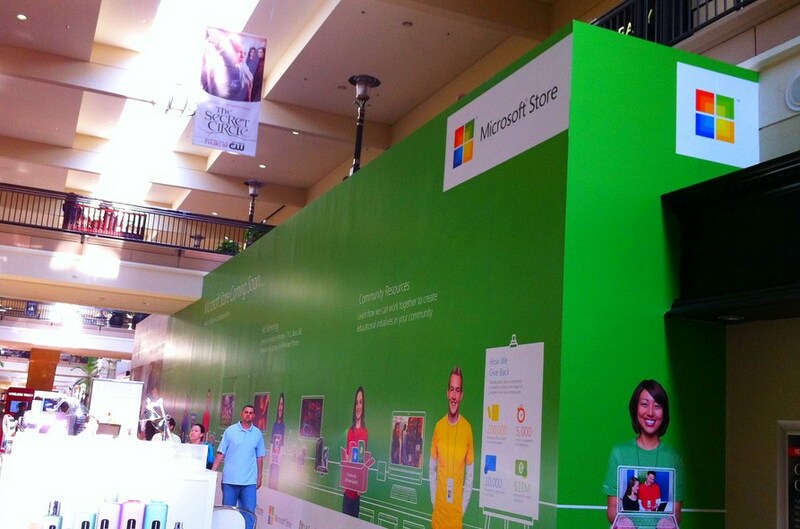 These stores will carry a variety of Microsoft-enabled products and offerings, in addition to Answer Desk services. Customers can learn how to get the most out of their software, as well as personalize their Microsoft devices. This means a total of 34 U.S. and Canadian holiday stores will be opening on Oct. 26, to give customers a selection of Microsoft technologies offering choice, value and service. If we’re reading that properly, Microsoft’s new stores are in place to teach about Windows 8, get a device into the hands of a consumer, and then help them get it set up and racing along; that’s exactly what it needs to do: provide assistance to help people get over the Windows 8 learning curve. If the company announces any more locations, TNW will keep you informed.